Wow is right, thanks Kerry. That is too cute! Hope I win! Thanks for the chance! Happy Holidays! Awesome giveaway..would love to win!! I’d love to win this. Thanks for all the deals! I’m already a facebook fan! I liked you on facebook A LONG TIME AGO! I sure could use a gift card for a last minute gift!!! You have the best giveaways. Thank you for all you do. Already like on facebook. Thank you. How great of you to give this away as we’re all feeling the pinch around the holidays. I would love to win a Target card! Again L O V E that you are doing this. It will truly make someone’s day. Super cute! I already liked totally target. 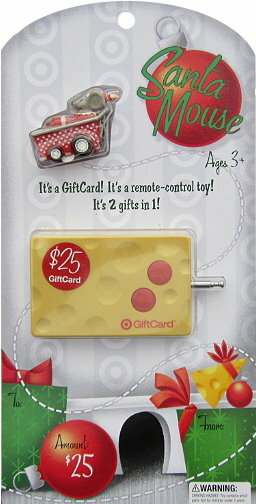 It would be sooooooooooooooo much fun to “play” with that gift card. Oh, this gift card plus cats…equals awesome! I have “liked” you for almost a year now and would have it no other way! I already do “like” you. I love your giveaways! They are so awesome! You are my “go to ” site for all the Target Deals! Thanks. Just “liked” you on FB! Thanks for chance to win. I follow Totally Target on FB.